A trio of age-old actors will be joining a like number of TV drama series next season. 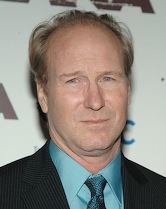 William Hurt has signed to co-star in Season 2 of FX's Damages, the network says. 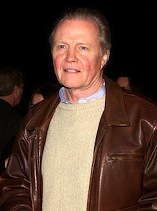 He'll play a new client of ruthless litigator Patty Hewes (series star Glenn Close). They have a professional and personal past together, says FX, which for now is keeping further details secret. On NBC, Mary Tyler Moore will take a dip into Lipstick Jungle's second season as a "retired, high-powered exec" named Joyce. The character also is the mother of studio head Wendy Healy, played by returnee Brooke Shields. And The Hollywood Reporter says that Jon Voight will play a villain in Fox's two-hour prequel of 24, scheduled to air on Nov. 23 before Season 7 starts its countdown clock in January. Production on the self-standing movie is underway in South Africa. ***Spike TV says it will reunite David Carradine and Daryl Hannah in Kung Fu Killer, billed as a "two-part 'Original Guy Movie' Miniseries" with an August premiere. The two of 'em previously appeared in Kill Bill.